Facebook privacy | Boy, are my arms tired! Perhaps it was a little perverse to deactivate my Facebook account two days before my birthday. After all, I deprived my 200 “friends” of sending me digital pictures of balloons, cakes and one sentence glad tidings. I also deprived myself of spending the day in the company of a digital device, repeatedly checking to see who was sending me the aforementioned greetings — and conversely wondering why others were not. Don’t they like me? Don’t they look at upcoming events? Wait, I’ll meet you in a minute, I just have to check my wall again. Instead, I spent the day in a national park, scaling a mountain. I had no cell phone reception for two days. I had access to email, but didn’t read it. It was the nicest time I’d had in months. 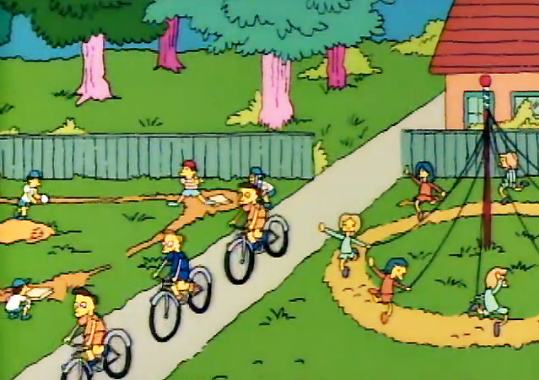 In the parlance of television, it was like the episode of The Simpsons in which the “Itchy and Scratchy” show becomes so boring that all the kids in Springfield turn off their TVs and go outside to play in the sun. There are many reasons to log off of Facebook. While I have spent many pleasurable hours perusing photos of friends and feeling a detached sense of connection with the many acquaintances I’ve gathered throughout my life, I’ve also felt a growing dismay at how much time it takes to keep up with the flotsam of other people’s lives and random thoughts. If I had a dollar for every hour I’d spent reading about what others ate for lunch, how their dental appointment went or what their cats vomited on the rug that day, I would have, let’s just say, a lot of dollars. Lately, people have been complaining about Facebook’s lack of privacy. But, let’s face it, the minute you interact with any website, your privacy is compromised. If you don’t want anyone to know what’s going on in your life, don’t go online. I’d already stopped posting anything but the most blatant self-promotional items anyway. No, this abandonment of social networking wasn’t due to privacy concerns. It came about as a result of watching how one of the most successful people I know leads her life. She spends her days working, attending classes and calling or getting together with her flesh-and-blood network of friends. She does not have a Facebook, Twitter or LinkedIn account. She barely answers emails unless they are vital. In short, she does not live life in front of an illuminated screen. Studying her, it occurred to me that I might be doing something better with my time. Like writing a book, watching a sunset or even looking for work. And didn’t I used to have hobbies? I began to feel about Facebook the way I felt about being an arts critic. I’ve spent a good deal of my life reviewing movies, books and music. It seemed like an honorable tradition when I began, until the day it occurred to me that I didn’t want to dedicate myself to reviewing other people’s art — I wanted to make art. Similarly, I am relinquishing the pleasures of watching the lives of others — at least, the edited version they want me to see — in order to live my own. The friend with whom I spent my birthday suggested that I should blog about the experience of leaving my Facebook family. I guffawed at the idea that we’d come to a point in society that the mere act of quitting one form of contrived social interaction was news — and possibly a means to commerce. According to Technorati, the blog tracker, about 175,000 new weblogs are created each day and many of those blogs are started with the express intention of making money. “Do what you love and the money will follow,” one self-help tome from the 1980s told us. So, if what you love is your collection of Victorian buttonhooks, or tracking chem trails, the idea is that you can just start writing about it and the users and advertisers will flock to you. Using that logic, writing day-in and day-out about the hardships of withdrawing from something as ubiquitous as Facebook should yield a bumper crop of attention and revenue. Still, what would one say about it? I could 12-Step it. I admitted I was powerless over Facebook and my life had become unmanageable. I could talk about the withdrawal. What are people eating for dinner? How are they doing in Mafia Wars? I could brag about how I’m going to the beach or learning to cook gourmet meals instead of reading about other people doing those things and posting the photos to prove it. In the end, isn’t this kind of blogging just trading one version of blather for another — one version of virtual living for another? Furthermore, how does this get me off the computer? The reality is, I miss the events feature of Facebook. I like knowing what’s happening and where to go to see art or attend a festival. Facebook has become the single best source of free advertising for those who previously could not afford publicity. But, that’s about all I miss. Am I going to keep a continuous blog about what it’s like to take back a measure of psychic freedom? I doubt it. Will I reactivate my Facebook account one day? Maybe. Right now, I’m going outside to join the kids playing in the sun. See you later.